Upon arrival at the Dundee Airport or Dundee Railway Station, visitors got several options on how they want to explore Scotland's sunniest city. Whether you are with your family or mates, it is best to get a cheap motorhome rental. You will be surprised to find out how much you will save up on accommodation and transportation. Most of the campervan rentals featured at VroomVroomVroom are equipped with modern amenities, which makes your journey more comfortable. You can either hire a budget camper or a luxury RV to make your trip to Dundee more memorable. Dundee Airport is situated on the shore of the Firth of Tay overlooking the Tay Rail Bridge. The airport is just 3 kilometers away (or a 5-minute drive) from the city centre of Dundee, where you can find an array of dining, shopping, and entertainment venues. Dundee has received many nicknames, including “A Waterfront City” because of its location near the Tay estuary. Golf enthusiasts travelling through the Dundee Airport will have easy access to St Andrews' Royal and Ancient Golf Course since it is just 20 minutes away from the airport. Dundee Airport, or formerly known as Riverside Park, started its operation back in the 1950s. Today, it has developed into a bustling airport – receiving more than 150,000 passengers annually. Dundee railway station is located on the northern section of the East Coast Main Line (ECML), which is a high-speed railway link that connects London, Doncaster, Leeds, York, Peterborough, Wakefield, Newcastle, Edinburgh, and Darlington. Dundee railway airport received more than 1.72 million passengers back in 2011 and 2012 thus making it one of the busiest railways stations in Scotland. The railway station has two terminal platforms and two through platforms, but they are planning to build a new multi-million railway station soon. 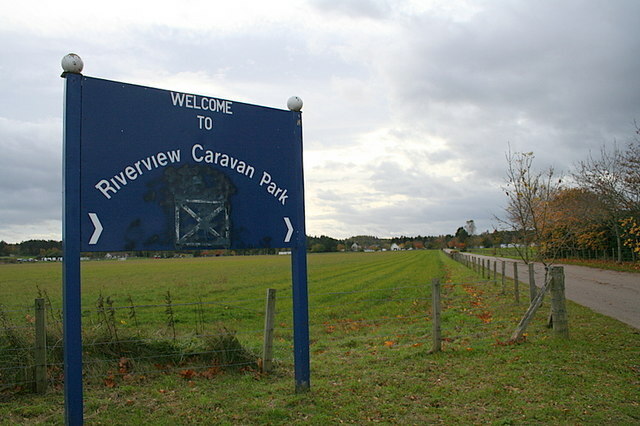 Riverview Caravan Park is situated on the beautiful coast just three miles away from the east of Dundee. The family run park is well maintained and offers breathtaking views of River Tay. Guests will have easy access to the championship golf course and sandy beach. The park is just five minutes away from the village shop and supermarket for those who want to do some shopping. It offers 45 hard-standing pitches for motorhome rentals. You also have an option to stay in any of their six holiday homes. Nydie Caravan & Camping Site is the ideal campsite for the whole family because of its superb facilities. The 9-acre site gives breathtaking views of St. Andrews Bay and The Golf Course especially during sunsets and sunrises. They offer 40 pitches, 14 electric hook-ups, fire pits, and shower blocks for campers and caravanners. If you prefer glamping, you can stay in your choice of Woodwam. Nydie Caravan & Camping Site has a separate play area for small children and a large field with goal posts for those want to play football and other outdoor games. Explore further by taking a short walk to Strathkinness where you can find a local tavern and two play parks. TayView Caravan Park is located near the lovely town of Monifieth where you can find a supermarket, restaurants, pubs, takeaways, and shops. The campsite has easy access to a children's adventure play area, championship golf course, putting green, and tennis courts. You can also have a relaxing stroll along East of Scotland's coast lines or enjoy cycling at the nearby cycle paths. The caravan park offers 20 pitches for motorhome rentals and campervan hire. The campsite has a diner that serves home-cooked meals and baked goodies. Clayton Caravan Park is one of the largest privately owned parks in Scotland so you are assured of exclusivity and excellent service. The company has received many recognitions, including Visit Scotland 5 Star Holiday Park Award, for the quality of their facilities, services, and maintenance of the park. Apart from the 376 static holiday home pitches and 30 seasonal touring pitches, they also have 50 residential park homes and 8 holiday homes for hire. The campsite features 5-star facilities such as a restaurant, bar, and children's play areas. The University of Dundee Botanic Garden attracts more than 80,000 visitors annually making it one of the most popular attractions in the city. It is located near the Dundee Airport and just off the city centre of Dundee. The botanic garden houses an extensive collection of plants coming from different parts of the globe. They also has temperate and tropical glasshouses as well as herb garden and water garden. The Coffee Shop is the perfect place to indulge on some delectable snacks and refreshing drinks. Discovery Point is an all-weather attraction that is located along Discovery Quay and just a mile away from the Dundee Airport. Get a chance to climb aboard the historical ship and find out how Captain Scott and his crew survived all the trials. The RSS Discovery had a remarkable history including their famous Antarctic expedition. Discovery Point features computer-based multimedia displays, audiovisual shows, and hands on interactives. Camperdown Wildlife Centre is situated within the Camperdown Country Park. It is just 15 minutes away from the city centre of Dundee and approximately 12 minutes away from the Dundee Airport. The wildlife centre houses more than 300 animals, but most of them are birds and mammals. The star of the centre are the two adorable bears named Comet and Star. Apart from seeing different animal species, you can also take your kids to the adventure playground or try your swing at the 18-hole golf course located within the Camperdown Country Park. Dundee Contemporary Arts is located right in the heart of Dundee's social and cultural life. The Dundee railway station is just walking distance from the arts centre. Also within easy reach are the Dundee University and main shopping centre. The world-class centre aims to develop and exhibit the city's arts and culture. They have various exhibitions, film showings, courses and workshops, talks and events. They also have a café bar where you can chat with other art lovers and a shop where you can buy gifts for your loved ones.